Bath Time, artist Stephen Hanson limited edition print. Every dog loves bath time, right? Based on the artist's real life four-legged friend, Toby, this charming limited edition print is bursting with personality. One of three paintings from 'Toby's Autumn Day', the new collection from Stephen Hanson. 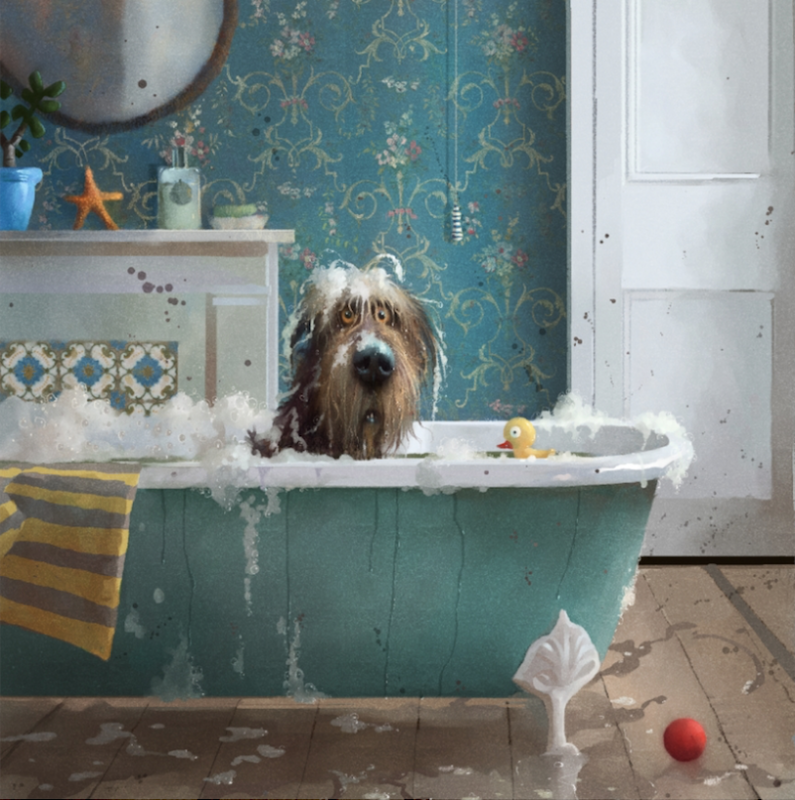 This joyous Toby painting by the fabulous Stephen Hanson is the perfect gift for any dog lover. Signed and numbered by the artist with certificate of authenticity.